A few cute bags I own that were made by my godmother have fabulous accessories too.... yo-yo's! My SIL Megan noticed the fabulous one on my cross shoulder bag I took to Italy so I decided to make her one for her cross shoulder bag too. 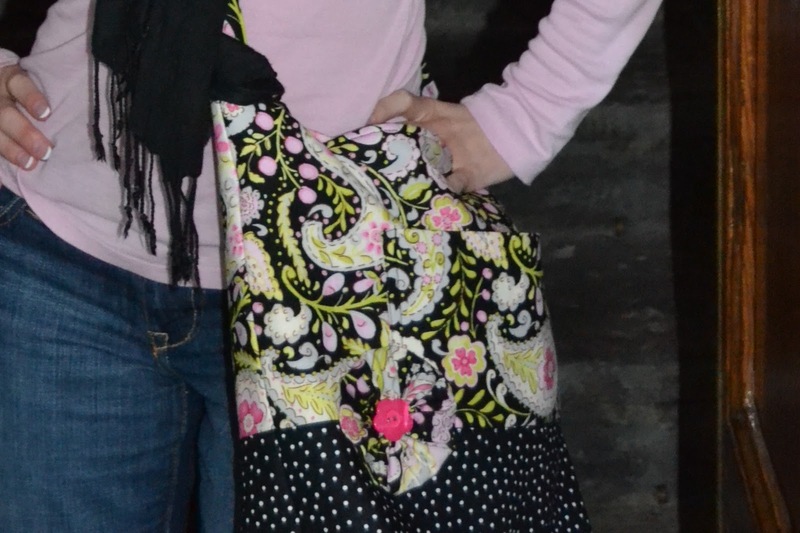 Her bag is Very Bradley Twirly Bird in Navy so the fabric scraps I used were navy and cream and I used a cream button. A yo-yo is very easy to make. I traced around two different sized tupperware lids on the fabrics to make a double yo-yo. Then I hand sewed around the edge and pulled it tight to make the yo-yo shape. 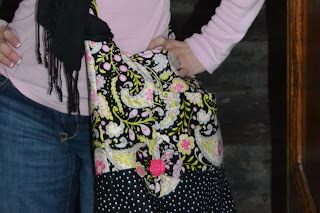 I layered them and the button and then sewed in onto her bag. Here is the one from my Italy bag. Quick, easy, and the perfect accessory for your many accessories!